Summer camp registration doesn’t open until Friday, February 1, but we have so many exciting new programs we just couldn’t resist giving you a sneak peek! NESS Summer Camp runs Mondays through Fridays for 10 weeks (June 24 – August 30). 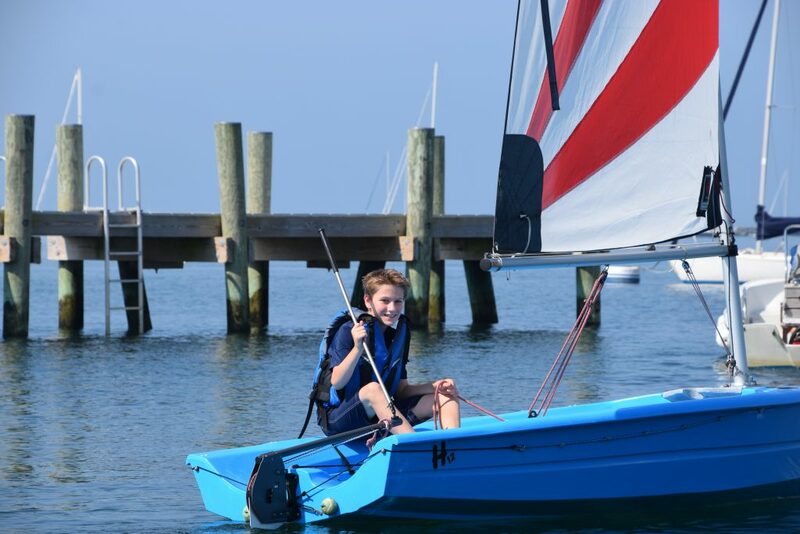 The half-day and full-day programs are open to students ages 4-17 and located in Stonington, CT.
NESS’s summer camp offers a unique combination of on-the-water and in-the-classroom lessons intended to spark curiosity, enhance learning, and encourage students to step out of their comfort zones. Summer programs include courses in sailing, marine science, adventure sports, and powerboating. 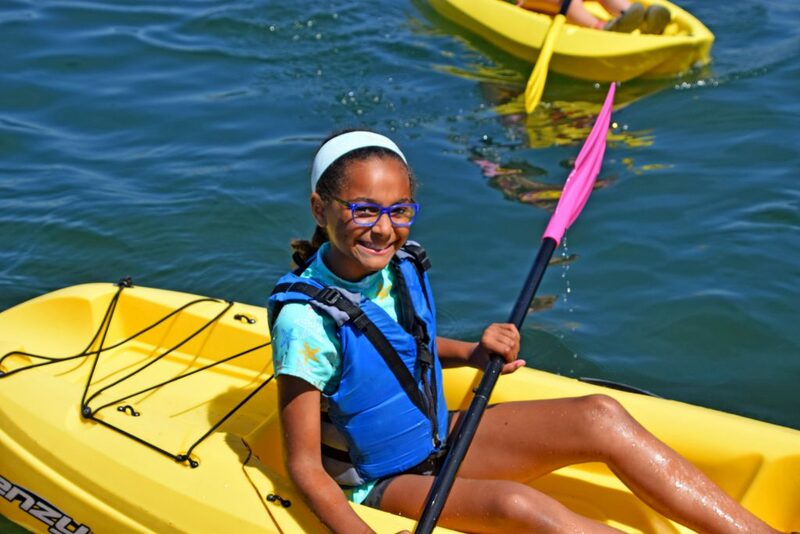 Our adventure sports offerings for students ages 9-17 include surfing, fishing, stand up paddle boarding, powerboating, boogie boarding, and more. There will be plenty of hybrid adventure sports classes in which students can experience a combination of different sports within one class. We will once again be offering fishing every week! From sport fishing for those advanced fishers to junior fishing for our youngest anglers, there is something for all our fish enthusiasts. Finally, this year we are offering programs for older students who may want to follow in our educators’ footsteps! We are excited to introduce ACA Kayak training and Junior Lifeguarding (non-certifying) courses for students 11-17! As always, we will continue to offer sailing classes appropriate for students ages 6-16 at all skill levels, from the novice sailor to the advanced racer. For our more experienced sailing students we will have a few foiling classes for some high-speed sailing opportunities! These classes will utilize our Waszp and UFO sailboats. After a successful summer of swim classes for the Little Aquanauts we are expanding to offer our first Bay Bounders swim class! These classes are designed to build confidence and comfort in the water. For our older marine science enthusiasts, we have all new courses for our ocean explorers (ages 8-10) and marine biologists (ages 11-15)! We are excited to continue our collaborations with nearby organizations and will be running our partnership programs with Project Oceanology, the Mystic Aquarium, and Denison Pequotsepos Nature Center! Registration will open on February 1 when you can see all our programs and register online! Classes fill fast, so interested families are encouraged to sign up as soon as possible. Need-based financial aid is available to make the ocean accessible to all, please call or email to learn more (860-535-9362 | office@nessf.org).